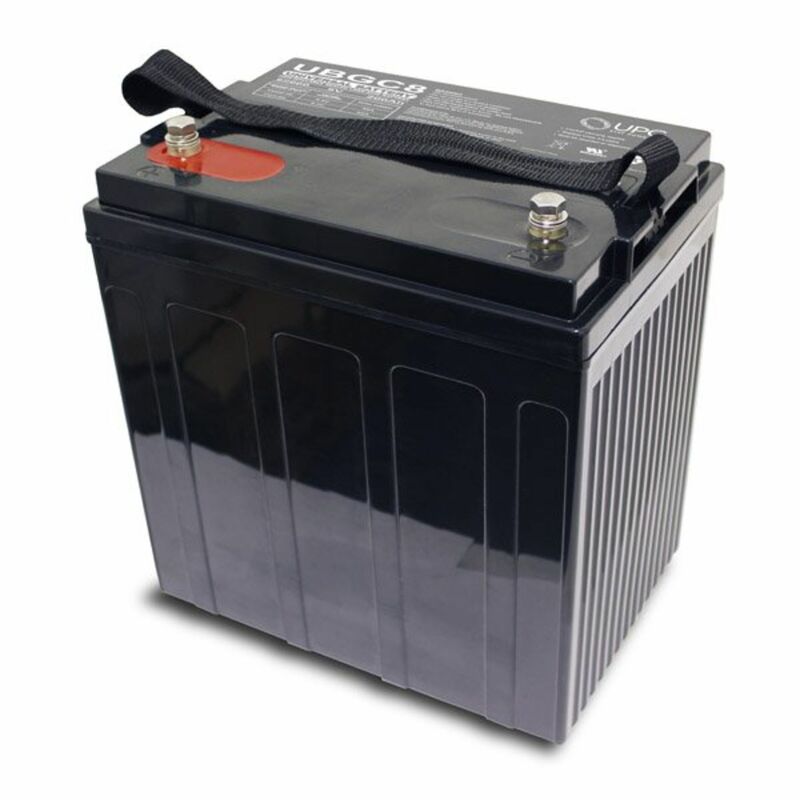 The UPG (Universal Power Group) UBGC8-45968 Golf Cart AGM Battery is a state of the art design battery made in Asia. The Universal UBGC8-45968 battery is a sealed (Non-Spillable) requires no addition of water during the life of the battery. The AGM Battery is TRUE DEEP CYCLE can be mounted in any position, requires no maintenance and may be transported by Air or Ground without any special handling regulations. When an AGM battery is charged no hazardous fumes escape the battery case, gases are processed within the battery itself. Approved for transport by air. D.O.T., I.A.T.A., F.A.A. and C.A.B. certified. U.L. recognized underfile number MH 20567. Universal AGM Batteries requires no special battery charger as do GEL CELL batteries. If uncertain if the battery charger you currently using will properly charge an AGM battery please consult us before using the charger. Typically RV and Marine charging systems require no modification when using Univeral AGM Batteries. Do you own the UBGC8-45968? Please, tell us what you think about it. It helps us provide you with better products. Please note that it may take up to 72 hours for your review to appear.